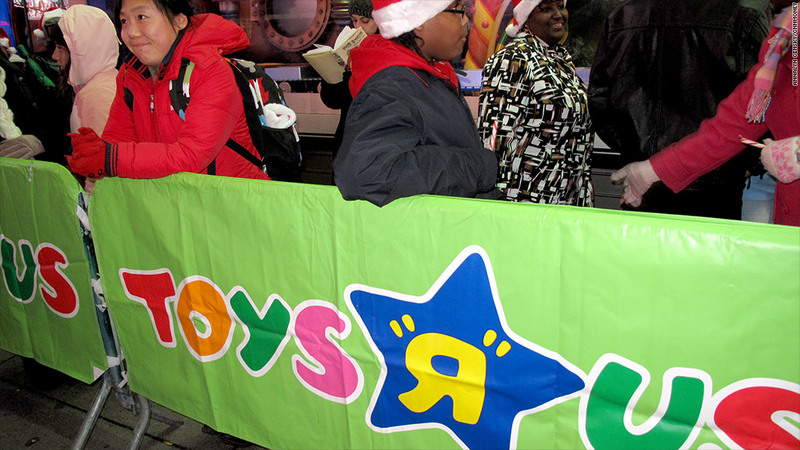 Toys R Us is offering free layaway ahead of this year's holiday shopping season. Retailer Toys R Us is offering free layaway, in an effort to spur spending ahead of the holiday shopping season. Toys R Us said it is waiving the upfront fees that it usually applies to layaway purchases. The company announced the deal on Monday and said that it will last through Oct. 31. Layaway will still be available after that date, but with a $5 service fee. The free layaway applies to a variety of its products, including toys, video games and swing sets. But the company said the deal does not apply to clothing, drinks, diapers, batteries and "holiday-related items." The deal will allow shoppers to buy products without having to pay the total price up front. Toys R Us allows shoppers to secure the product by making a 20% down payment, so long as they pay 50% of the total price within 45 days and pay for the product in full by Dec. 16. Toys R Us has faced tough competition from mass merchandise retailers like Wal-Mart (WMT) and Target (TGT). Retailers are bracing for another holiday shopping season amidst a weak economy and high unemployment. Layaway plans have become more popular lately due to uncertainty in the economy. Earlier this summer, Sears (SHLD) announced that it was offering vacation packages on layaway through its SearsVacations.com site.